Do You Honestly Believe In “Free” Installation? Each morning I begin my day with breakfast and the local news as I plan my day. And each morning I am bombarded by commercials for one of a couple of window companies who shall remain nameless because I’m not about to give them any free advertising. What makes me crazy is that every month these guys have a different – no, that’s not right; not different, just a seasonal twist on the same couple of things – “free” or “discount” offer. You’ve seen them – “free” installation, 50% off windows, etc. Yeah, right! How’d you convince your installers to work for free this month? Our guys have been with us for years; some are even 2nd generation, and while they may treat us like part of the family, I can pretty much guarantee there is no way they’re working for nothing. And, as generous as our owner may be, I’m also pretty sure you won’t see him giving away a month’s worth of labor costs. That’s why, whenever I see one of these commercials, I just want to scream. More importantly, I want to assure myself that homeowners are more intelligent than these companies give them credit for and realize that you never get anything for free. You’re going to pay for it one way or another. That’s why, when Evergreen Door & Window offers a product promotion, it is backed up by a specific manufacturer, and it has specific parameters. We don’t throw out vague promises that can’t be backed up. For instance, we are currently offering an upgraded high efficiency glass package in conjunction with Great Lakes Windows. Visit our showroom or website (https://www.evergreenwindow.com) to see the details of this offer, or any of our latest manufacturer sponsored promotions. And remember, if something sounds too good to be true, it probably is! You would never allow a kindergartener to perform major surgery on you, so why, then, would you let Handyman Hank undertake a vital operation on your home? I don’t mean simple projects that the average do- it- yourselfer can manage; what I’m talking about are significant ventures that should only be embarked on by trained professionals, such as replacing windows, doors, roofing, siding, as well as substantial plumbing and electrical tasks. There’s a reason municipalities require permits and inspections for major home renovations. It’s because they can impact the health and safety of your family and the structural integrity of your home. And that’s exactly why you should never trust that work to the guy who works out of his garage, or his van, and goes around sticking homemade flyers on doors claiming he can perform any home improvement project you may need. Now, for the record, I’m not saying every contractor who works out of his home is unreliable and should not be hired. In fact, I personally know a few licensed contractors who have always worked from home and have been in business for years. That’s because they are very good at the work they do, and they have sense enough to know what kinds of work they cannot perform. That’s why they are licensed, insured, and are willing to provide references and anything else you may need to assure you that you can depend on them. And, that’s why they will tell you when they can’t do something, and will usually know who to recommend to complete your project right. So, if you need to have a major exterior home improvement and want to insure that it will be done right for a fair price, call us at Evergreen Door & Window at (708)423-1720. 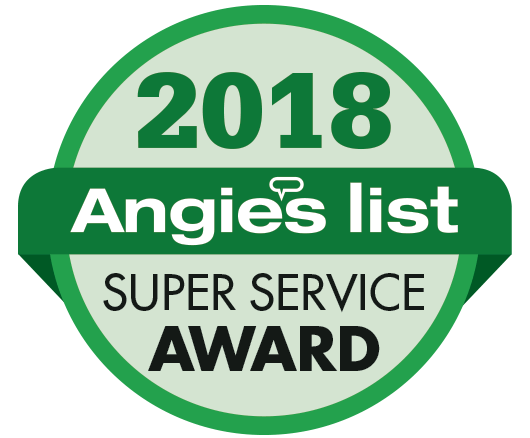 We have been here for over 50 years, our installation teams are manufacturer certified, and we will be here to back up all of our work! And remember, “the bitterness of poor quality lasts long after the sweetness of a low price”. A Price is Only as Good as the Contractor That Backs It Up! Let me see if I have this straight; you called Evergreen Door & Window because you need service on your windows that you bought from another contractor. Really? And why didn’t you call that contractor to come and service the windows that they installed? Oh, I see, because they are out of business. Hmm. 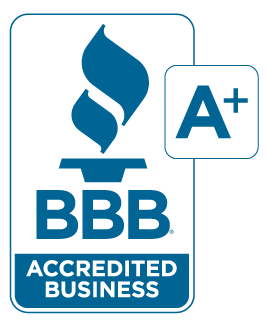 Did you check them out through the Better Business Bureau and other sources to make sure you were dealing with a solid company? Oh, their ratings weren’t as high as Evergreen Door & Window, but they gave you a really good price. I see. I guess you have probably figured out by now that the price is only as good as the company that backs it up. 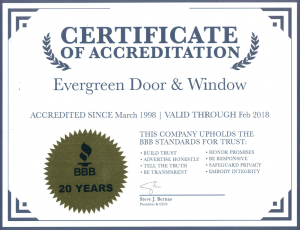 Evergreen Door & Windows has been in business for more than 50 years, and we plan to be here for years to come to stand behind all the products we install. Sorry, I don’t mean to sound harsh here, but we get a number of calls every week basically along these lines. And, I have to give you some bad news if you find yourself in this position; there isn’t a lot we can do to help you out in this unfortunate situation. It’s not that we don’t sympathize with your predicament, but, from a liability standpoint, we can’t even touch your windows since we didn’t install them. All I can suggest if you run into this situation is to check your warranty and contact the window manufacturer for help in resolving your issue. Most of the larger manufacturers have their own service technicians that they will send out on warranty issues. Now, if you haven’t yet bought new windows, doors, roofing, siding, gutters, or other exterior remodeling products for your home but are thinking of doing so in the future, please do your homework before you select a contractor to work on your home. Bear in mind as you look at contractors that nearly 2/3 of all construction companies go out of business in the first 5 years. And, in the last 10 years, a large number of well established remodelers have found themselves in the position of having to close their doors because of the tough economy. So, please check out any contractor. If their BBB rating has dropped or is consistently low due to complaints from customers, this is a definite red flag that they may not be long for this world. Also ask friends and neighbors who have had exterior remodeling work done if they would recommend their contractors, not only for the initial sale, but for service after the sale, which will be even more important to you in the years to come. Watch Out For Energy Goblins! Make sure all of your windows are closed and firmly locked. This may seem like a no-brainer, but many people forget to actually lock their windows, which allows heat to escape around the edges of the sash. Locking them causes the weatherstripping to seal tightly, so lock them up tight! You also might want to lock storm doors and entry doors (including deadbolts) even when you are home. Again, this snugs the weatherstripping tight within the door frames, keeping out the wind and weather. Change your furnace filter. A dirty filter causes your furnace to work harder to keep your home warm, raising your energy costs in the process. Additionally, have your furnace professionally serviced to catch any small issues that could turn into something major. A $100 investment in a service call could save you hundreds on a failed furnace that results in a late night or weekend call to the heating company. If you don’t already have one, invest in a programmable thermostat. That way, you can preprogram your furnace settings for various times of the day. For instance, set your heat at 62 degrees or so at night while you are sleeping (you’re under the covers, so you’ll be plenty warm even at this temperature), then schedule the temperature to kick up to around 70 degrees or so shortly before your alarm goes off. That way, your home will be toasty warm when you get up, making it a little easier to get out of that warm bed! If your house is not occupied during the day, you might want to kick it down to the mid 60’s while you’re gone, again, scheduling it to get a little warmer shortly before you return home. Many of these thermostats even have separate weekend settings so that you can set up a comfortable temperature for those days that you are home. If you follow these simple suggestions, you should see a decrease in your winter heating costs. And, if you still notice drafts around windows or doors even after locking them tight, it’s probably time for an upgrade. 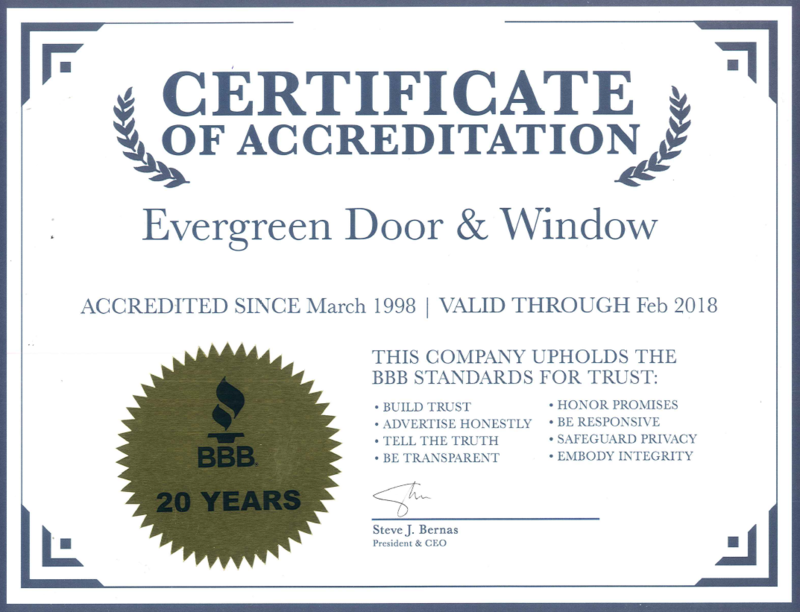 Call us at Evergreen Door & Window at (708) 423-1720 to visit our website at https://www.evergreenwindow.com to schedule a professional consultation. Our energy efficient windows and doors will help you save energy, paying you back for your investment in very little time! Fall has definitely arrived in our area, and along with it cooler temperatures and changing leaves. That means winter is not far away, and now is the time to get your home ready for the cold temperatures and blustery winds soon to come. We’d like to offer you some simple steps to get your home ready for the impending bitter weather so you and your family can be warm and cozy in the coming months. Clean all of your windows, inside and out. This may seem like an unusual suggestion, but think about it; as the days get shorter, clean windows will allow more sunshine to enter, adding light and warmth to your home. Besides, with today’s easy to clean tilt-in windows, you can perform this task from inside your home, rather than having to stand out in the cold on a shaky ladder to clean the outside. You don’t have tilt-in windows? Don’t worry; we can still replace your old windows with new, energy efficient vinyl tilt-in windows in just 2 weeks! Remove screens from storm doors and replace them with their glass inserts to create a weather barrier for your entry doors. This is also the time to check your storm doors to make sure that they operate properly and are not allowing substantial air to seep around them. If they do not seem to be doing their job, we can help you find the right storm door to protect your home and enhance its beauty at the same time. By the way, do not remove the screens from your home’s windows; today’s screen materials are designed to endure virtually all kinds of weather and remain in your windows year round. While you are checking out your storm doors, don’t forget to inspect your entry doors for wind and water infiltration. The old dollar bill trick still works quite well; if a dollar bill will easily slip in and out of the closed door, top, bottom, or sides, that means heat, cold, and moisture can also transfer through that gap, costing you energy dollars. (By the way, this is also true for windows.) Once again, we are here to help you find the perfect new entry door for your home. Once the autumn leaves have fallen from the trees, clean and inspect your gutters. Otherwise, clogged gutters could lead to ice backup, which will not only damage your gutters, but could lead to ice dams that could back up into your roof line, damaging your shingles and underlayment. Leaky gutters can also result in the formation of dangerous icicles that could break off and injure someone, or the weight of the ice could cause the gutters to pull loose from your home, making them pretty much useless. And, yes, if you find that you need to replace your gutters, we can help you with that, too! So, in summary, to get your home ready for the approaching winter weather, clean your windows, prepare your storm doors, check your entry doors for air leakage, and clean and inspect your gutters. After that, your home’s exterior should be ready to keep you warm and cozy for another chilly season. Call us at (708) 423-1720 or visit our website at https://www.evergreenwindow.com to help get your home ready for the chill. As I mentioned in my last post, vinyl windows are a great way to improve the beauty and energy efficiency of your home in just two weeks. 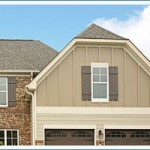 Now, we have even more reasons for you to call right now to order your new vinyl windows from Evergreen Door & Window. 50% off woodgrain interior option on all vinyl windows purchased by October 31, 2013. Free upgrade to 366 glass, one of the most energy efficient glass options we offer. Second, another of our most popular vinyl window partners, Sunrise Windows, is offering up to $500 manufacturer’s rebate on the purchase of windows ordered from Evergreen Door & Window between October 7 and November 1, 2013. Rebates vary depending upon the number of windows and options purchased. 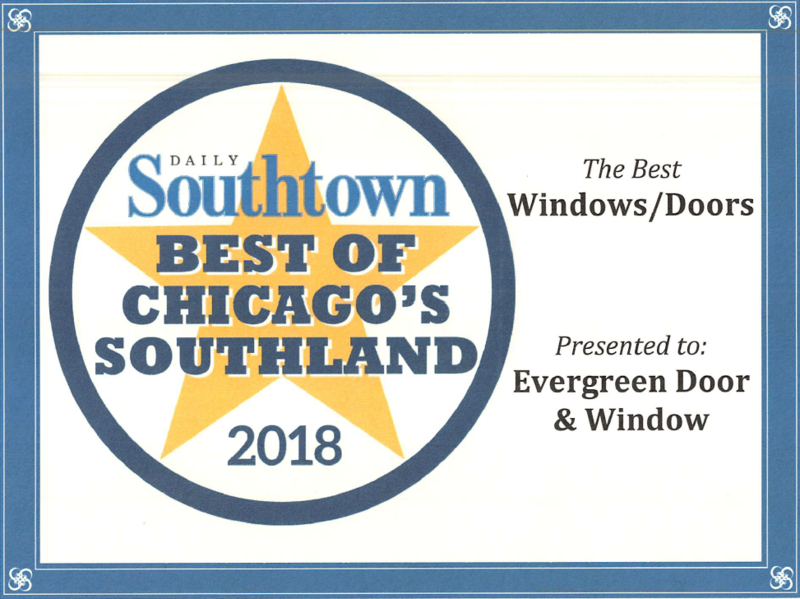 Call us at (708) 423-1720 or visit our website https://www.evergreenwindow.com to speak to our professional associates about these impressive savings offers, and to order your new vinyl windows today! If you read my last post, you may be thinking that you do want to replace your windows before winter, but you don’t want to have to wait until the holidays to get them installed. Well, we do have good news for you. We can order and install your windows in only 2 weeks. All you have to do is select vinyl windows instead of wood. That’s right; we can order and install your new vinyl windows in just 2 weeks, as opposed to 8 weeks for wood windows. And, before you start thinking that vinyl windows don’t fit your needs, let’s take a look at what today’s vinyl windows have to offer. 21st century vinyl windows are not only energy efficient and easy to care for; they offer an amazing variety of interior and exterior color options, including some very realistic looking woodgrain interiors. Add to that a wide selection of glass and grid options, and we can help you create the exact appearance that you desire to bring out the best in your home. So, if you want to replace your windows before the cold winter winds reach us yet again, visit our website at https://www.evergreenwindow.com or call us at (708) 423-1720 to schedule your professional in home consultation. We are here to help you choose the exact vinyl windows to suit your unique needs, with over 50 years of experience providing custom fit expert installation in your home. It drives me crazy to walk into a store in September and see Christmas decorations right next to the Halloween, or to turn on the radio before Thanksgiving only to hear Christmas carols. So, I couldn’t help but chuckle when I turned on the news this morning to see one of the key stories is that a major retailer is already running commercials for holiday shopping, and apparently people are seriously divided on whether this is a good or a bad thing. I can’t speak to Christmas commercials in September, but I can say with absolute certainty that now is the time to start if you want to complete any home renovations before the holidays are upon you. Your first instinct on reading this is that you still have plenty of time, but let’s do a little math, and you will quickly come to see that, if anything, you are now on an extremely tight schedule if you wish to complete your project before your holiday guests arrive. First, have you even decided what renovation you want to complete – windows, doors, roofing, or siding? Let’s assume you want to replace all the windows in your home. Next question: wood, vinyl, or fiberglass? For the sake of our discussion, we’ll look at wood windows. Once you have met with your contractor, selected all the options for your windows, and finally signed the contract, which could take a week or more just to complete this process, the clock truly begins. When it comes to wood windows, production can take anywhere from 4 weeks (an extremely optimistic estimate) to 6 weeks or more. The timeline can become particularly long as the holidays approach, as many manufacturers either decrease or completely shut down production for a period of time in the winter, whether because of decreased product demand, facility maintenance needs, or to allow their staff to share holiday time off with their own families. Once the windows are built and delivered to your contractor, you still have to schedule the installation, which will be dependent on the availability of installation crews, not to mention weather conditions, which could further delay your project, say another 1-2 weeks. We’ve so far only discussed production and installation schedules as they impact your preholiday renovation project. We should also take a quick look at one other thing that certainly has to be taken into consideration in our area – winter weather. Not only is there always the possibility of snow anytime after Halloween in the Chicago area (on rare occasions, even before Halloween), even if there is no frozen precipitation to battle, temperatures can without a doubt throw a monkey wrench into your home renovation plans. Roofing and siding in particular must be installed only between specific temperatures to avoid material damage that could further delay your project and/or void your material warranty. With unpredictable temperature swings during the fall around here, you could have everything scheduled for the installation of your new siding, only to watch the thermometer drop 20 degrees, placing everything on hold until warm weather returns for a few days. Obviously, then, you should certainly get a jump on any exterior renovations, not only to cut down on the holiday chaos, but to beat the ever changing Chicago weather conditions. To assure a warmer and less stressful holiday season for you and your family, call us today at (708) 423-1720 or visit our website at http://www.www.evergreenwindow.com to schedule your professional consultation, and get ahead of the holiday rush! Three-Tab Vs. Architectural – Which Is the Right Shingle for My Needs? I was recently asked by a young person just getting into the remodeling industry what I at first thought was a fairly simple question: “What’s the difference between a 3-tab and an architectural shingle?” As I said, I thought it was a simple question. As it turns out, I’ve spent the last month gathering information from the internet and roofing professionals trying to come up with an answer that will make sense to the average homeowner, or to anyone else like me whose knowledge of shingles is basically limited to “they go on the roof”. Ok, I probably knew a little more than that before I started, but not a lot. Here’s what I learned. Let’s start with 3-tab (traditional) shingles. You are probably most familiar with this type of shingle, as it pretty much used to be the industry standard for most roofs. 3-tab shingles are made by coating a single layer of fiberglass or other matting with asphalt, then covering it with crushed rock or similar materials to add color and protect the asphalt and matting from the sun. At around $0.60 per square foot a typical 3-tab shingle, weighing in at around 250 lb. per square (that’s roofer speak for a 10 x 10 area, or 100 sq. ft.) and with a wind resistance rating of about 60 mph, carries a warrantee of 20-30 years, depending on the manufacturer and type of shingle. Bear in mind, this warrantee is only for manufacturing defects. There are different warranties for wind damage, algae resistance, labor, etc. Make sure to read the warranty carefully to understand exactly what is covered and for how long. By comparison, an architectural (sometimes referred to as “dimensional”) shingle is manufactured initially in a similar fashion to 3-tabs (that is, asphalt over matting coated with granules), except that a second layer of the same materials are then attached to the first layer (basically a shingle placed on top of a shingle) to create a dimensional appearance, and, of course, double the thickness of a 3-tab. That’s a very simplified explanation, but it is close enough for our purposes. Costing around $0.85 per square foot (if you’re doing that math, that’s $0.15 per square foot more than a 3-tab), and with a weight of about 450 lb. per square, a 50 year (or, in some cases “lifetime”) architectural shingle has a wind resistance rating of 110 mph (again, nearly double that of a 3-tab). As with the 3-tab, the 50 year (or lifetime, depending on the shingle) warranty only applies to manufacturing defects. Warranties for wind are generally closer to 15 years, whether 3-tab or architectural, and algae resistance is more like 10 years, again, regardless of shingle type. Remember those prices I mentioned earlier? Those are simply for the cost of the shingles, and are only a rough estimate. Shingle prices tend to fluctuate with oil prices (after all, asphalt is a petroleum product), among other things. And, that does not include the cost for ice and water shield, a must for any roofing installation, ventilation systems, decking, flashing, and, of course, labor. Each of these costs is going to be comparable regardless of whether you choose 3-tab or architectural shingles. 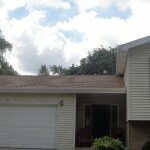 So, in the long run, a full roof installation, including tear off (always recommended to ensure the validity of the manufacturer’s warranty), replacement of decking (the plywood underlayment that forms the foundation of your roof) as required, installation of all materials, and everything else that goes into a roof replacement is only going to vary a few hundred dollars from 3-tab to architectural. If you take into account the difference in the warranties (particularly wind resistance), the price distinction is probably going to be negligible over time. Instead of focusing on price, as so many homeowners seem to do, you should be much more concerned about proper installation of your new roof, starting with the inspection before you even sign a contract. Before you bought your home, you probably had an inspection: that’s pretty standard. However, odds are that the inspector did not actually go up on the roof or into the attic space to do a thorough inspection. It was more an on the ground sight inspection to see if there were any obvious defects, in which case the inspector might have taken a closer look. When you decide to replace your roof, though, you should make sure your roofer performs a more in depth inspection to see if the decking needs to be replaced, what ventilation is in place or needs to be added (including soffit or edge and ridge ventilation), and, from inside the attic to note any interior damage that would not be obvious from an external investigation. That way, you know on the front end all the work that needs to be performed, instead of getting a huge and probably expensive surprise when they begin the tear off process. Yes, I said tear off. If you pay close attention to the warranty documents for roofing materials, they generally specify something about proper installation from the decking up. If you do an overlay roof, which some homeowners may opt to choose to reduce costs, this could very well impact your warranty. Bottom line, when choosing between 3-tab and architectural shingles, there is not a substantial price difference for the materials, particularly when you prorate the cost over the life of the shingles. And, to provide the best overall warranty and life expectancy from your new roof, regardless of the type of shingle you choose, you should definitely consider a deck up replacement (not necessarily the decking itself, except where needed, but everything above that) rather than an overlay, paying particular attention to proper ventilation, as extreme attic temperatures as a result of too little ventilation can considerably shorten the life of your roof, as heat has a serious negative impact on the wear of a roof. That means making sure there are plenty of vents at the ridge line, along the roof, and either at the lower edge of the roof or through the soffit, if your home has a soffit. These precautions will ensure that your roof lasts for years, and helps reduce your energy costs in the process. When you are ready to consider a new roof for your home, contact us at (708) 423-1720 or visit our website at https://evergreenwindow.com for professional assistance in making the best choice for your particular needs. 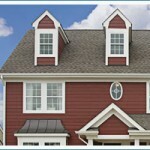 In our previous discussion, we focused on the new generation of vinyl siding. The fact of the matter is, however, that some people simply want nothing to do with vinyl siding. That’s okay – variety, after all, is the spice of life! For those people who want something other than vinyl, but still want relatively easy maintenance and longevity, we also offer fiber cement siding. Variations of this product have been on the market for generations, but the current incarnation came into being in the 1980’s, when changes were made to the kind of fibers used to bind the cement, replacing the old asbestos fibers, which of course were found to be hazardous. Among the many benefits of fiber cement siding are the fact that it is fire and termite resistant, which could have a positive impact on your homeowner’s insurance rates (check with your agent or insurance provider for further information on this benefit). And, speaking of impact, fiber cement siding is also strong, resisting damage from hail, wind driven debris, and day to day hits such as kids toys, ladders, etc. Additionally, with the use of optional factory applied color, fiber cement siding maintains its beauty for years. Of course, you can always change the color, as, unlike vinyl, fiber cement siding is easily paintable to change the appearance of your home whenever you choose without replacing the siding. Fiber cement siding is available in a variety of styles from lap to shingle to vertical panels to give you exactly the appearance you are looking for to enhance the beauty of your home. For more information about our fiber cement siding options or to schedule your free estimate today, visit our website at https://www.evergreenwindow.com or call us at (708) 423-1720. Your home matters to us! Receive a 5% OFF Coupon!